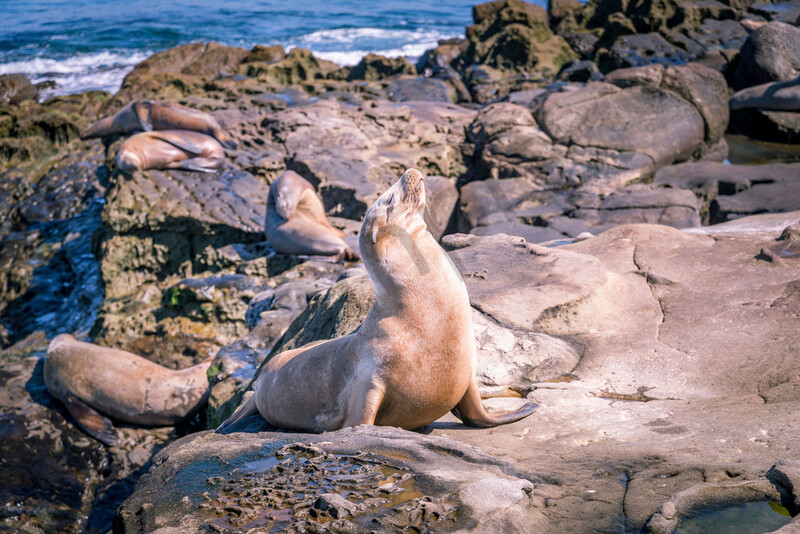 This photo of a seal was taken at La Jolla Cove in San Diego, California. I loved getting this photo! Yes - I was close to this guy. Funny enough, it seemed like he (she?) knew he was getting his picture taken and posed for me. I used to swim out to the buoy in the Cove on a regular basis and have had some extremely close encounters with seals. They seem to be playful creatures, though I wouldn't get any closer than this on purpose!